Last night’s Republican town hall with candidates Donald Trump, Ted Cruz, and John Kasich was the most-watched on record in cable news in both total viewers and in the key 25-54 demographic. 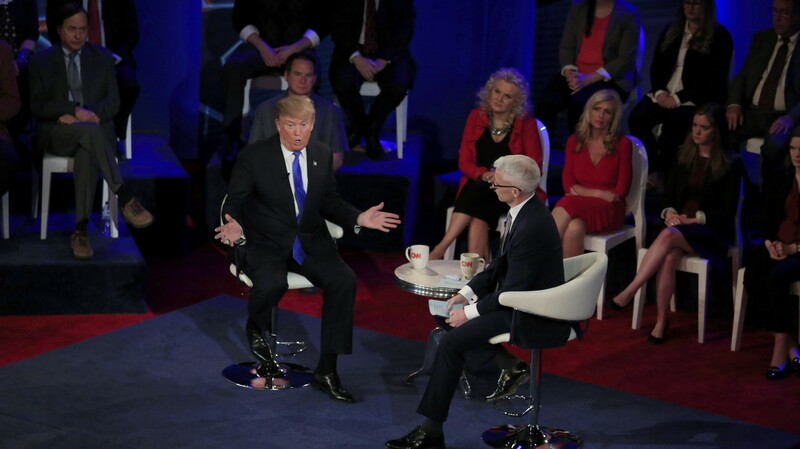 Hosted by Anderson Cooper, the Wisconsin Town Hall was #1 in prime time, averaging 3.263 million total viewers, Fox News followed with 1.996 million and MSNBC had 1.156 million according to Nielsen Fast National data. Among 25-54, CNN was also #1 with 1.062 million – outperforming the combined delivery of Fox News (422k) and MSNBC (292k). The post-program, CNN Tonight with Don Lemon (11p-midnight) also ranked #1 among total viewers and the demo 25-54 last night. In total viewers, CNN had 1.353 million, Fox News registered 961k and MSNBC posted 625k. In the demo, CNN averaged 480k, Fox News followed with 276k and MSNBC had 188k.